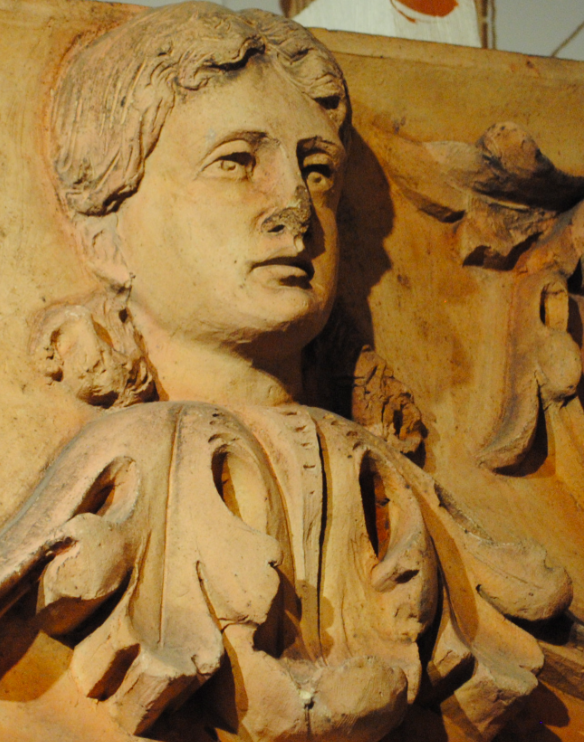 On display in the museum at Tamworth Castle are examples of architectural terracotta which were produced by the company Gibbs and Manning. Established in 1847, the firm manufactured a whole range of works from ornamental garden pieces, sculptures and animals to grand architectural stoneware. The above pottery plaque details a female head with a scrolled flower either side and dates to the early 20th century. The above work depicts two intertwined lizards biting the tail of the other and dates to the early 20th century. The above plaque depicts a graceful eel and also dates to the early 20th century. Gibbs and Canning ceased to trade in the late 1960’s.